Despite rave reviews, the Nikon D750 has been plagued by several issues since its release in September of 2014. And even though Nikon did issue a recall of certain models due to a well-documented flare problem, it seems another potentially-related issue with the shutter is being reported in the forums. The original issue had to do with a defective shutter mechanism that caused a dark band and ugly lens flares to show up in photos captured by affected cameras under certain conditions. The new issueâ€”which is being reported by a few users on Nikonistas but has been cited as early as December 2014 in the DPReview forumsâ€”may be related to the flare problem, but seems to affect some serial numbers that were not included by Nikon in the expanded recall. According to several forum posts we found reporting this issue (from as far back as December of 2014 till March 31st of 2016), affected cameras will lock up when taking a photo (often after the first shutter actuation of the day) and display an â€œerrâ€ message. In some cases, all thatâ€™s required to move past this is a second shutter click; in others, removing the battery, SD card, lens, or any combination of the three may help; for some, even that didnâ€™t work, and the camera had to sit for 24 hours before it would work again. â€œMy 750 locked with mirror up upon first powering it on and taking the first picture of the day approximately a half dozen times,â€ writes stevef1961 on the DPR forums. â€œIn mine, which is among the serial numbers announcement Nikon [â€¦] it misses the first shot of the day. After pressing the shutter button, it appears frozen, it shows â€œerrâ€ in the viewfinder until you press a second time not released. After that first failed photo, the rest work all dayâ€¦ until the next day that is exactly the same,â€ easagp writes on Nikonistas. â€œAfter an ordinary shutter press to take a photo, the camera unexpectedly went into a hard error,â€ writes another user, form, on Fredmiranda. His camera had just come back from getting its shutter fixed by Nikon. The reports sound suspiciously similar, and users who replied to the DPR and Nikonistas forums posted links to other similar discussions or reports of similar (if not identical) issues that they themselves had experienced. I had the same problem 10 days ago: at first a series of blocks with â€œERRâ€, then the shutter finally crashed. The local repairer doesnâ€™t believe me, he said that I â€œmustâ€ have touched the shutter blades. But I never did, I didnâ€™t even clean the sensor (the 750 is only 5 months old)â€¦ So I must pay â‚¬ 400 for shutter replacement. Is this the beginning of a new problem for the D750? Itâ€™s too early and these are too few reports to tell if this is indeed the beginning of â€œa new problemâ€ for the Nikon D750. 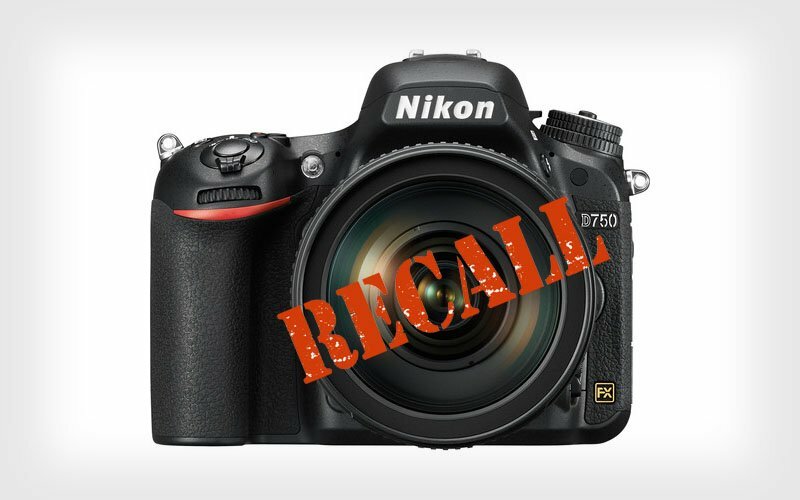 But Nikon expanded the recalled serial numbers once before; if this issue is widespread, they may have to do it again. Nikon just announced that itâ€™s expanding its recall of its D750 DSLR over the shutter issue that caused ugly lens flares to show up in some photographersâ€™ photos.As you may remember, photographers first noticed and began complaining about the issue back in December 2014. After the reports spread widely online, Nikon quietly pulled the D750 from store shelves around the world, and then officially confirmed that it was making repairs on affected cameras, which were found to be those produced between October and November 2014. Well, unfortunately for Nikon D750 shooters, those werenâ€™t all the cameras that were affected. Nikon issued another D750 service advisory yesterday, announcing that the recall is being expanded to D750 DSLRs made between December 2014 and June 2015. You can see if your D750 is affected by checking your serial number on the Nikon website. Previous articleNegative Gearing! Trust the PM, Joe Hockey and Tony Abbott or form a different view?